It has also launched its new Online Platform for Training, facilitating training as well as technical information to NGO workers and volunteers, for them to improve their social actions’ quality. This platform, financed by the Ministry of Public Health, also aims at stimulating the development and strengthening of NGO structures and network activities. 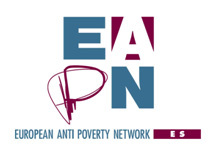 In the framework of the “For Social Inclusion, IntegrACTÚA” initiative, which aims at strengthening social inclusion policies in Spain (see previous Flash newsletters), EAPN Spain has opened an “online forum against poverty”.